Beautiful. Indeed, we must always ask ourselves, “What has happened to us?” and also, “What have we allowed to happen?” With our answers, we plan our course of action. 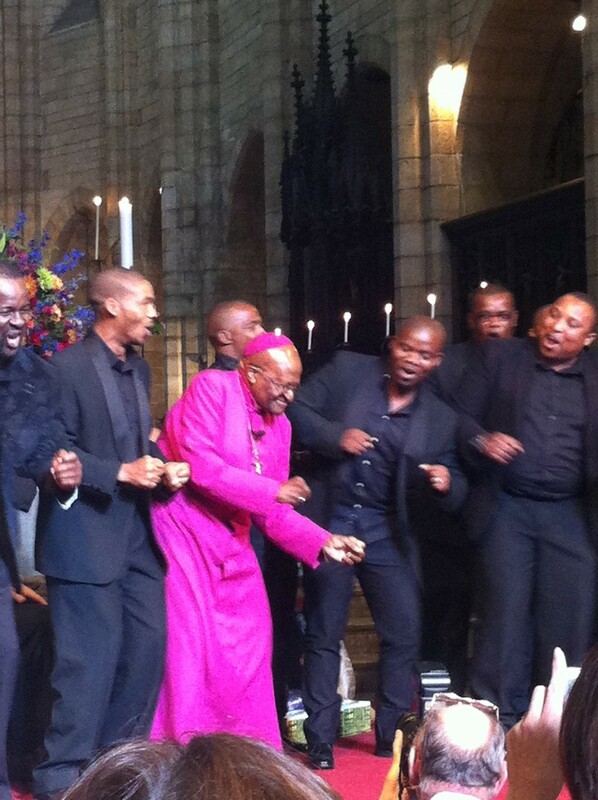 When ++Desmond was Bishop of Johannesburg, circa 1985, I was exploring a vocation to the Ordained Ministry. I met with him at St. Benedict’s Retreat Centre. He was laying on his bed, relaxing, with me sitting on a chair and he spoke to me as he would to his son. Trevor, what you have to realise is that your ministry is one of loving SERVICE to ALL of God’s children. To struggle for justice in our land and to stand up for those who suffer. In doing that you will cry many tears but they must be tears that stream from a loving and caring heart. He never used the word Ubuntu but that is exactly what he meant. I have always tried to do what I was told to do by this very wonderful man. May God bless your ministry Nicole as you live in God’s reality of Ubuntu.